Melbourne is known for museums, parks, shopping, zoos & aquariums, and nightlife. 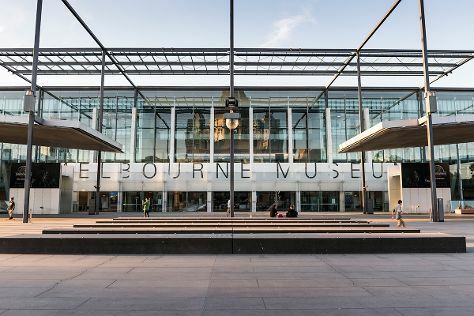 Your plan includes some of its best attractions: take in nature's colorful creations at Royal Botanic Gardens, explore the world behind art at National Gallery of Victoria, see the interesting displays at Melbourne Museum, and tour the water at your own pace with Melbourne Boat Hire. For reviews, maps, other places to visit, and other tourist information, use the Melbourne road trip planning tool . Lucknow, India to Melbourne is an approximately 19-hour flight. The time zone changes from India Standard Time to Australian Eastern Standard Time (Victoria), which is usually a 4 hour difference. Traveling from Lucknow in January, things will get somewhat warmer in Melbourne: highs are around 32°C and lows about 17°C. Finish your sightseeing early on the 3rd (Thu) to allow enough time to travel to Sydney. Sydney is known for nightlife, trails, beaches, parks, and museums. 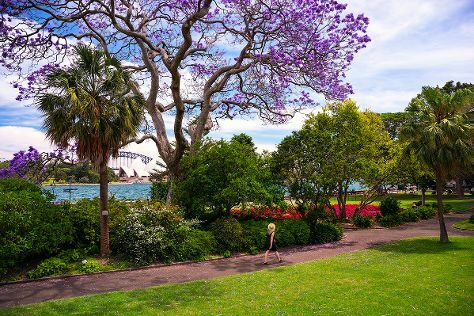 Your plan includes some of its best attractions: take in nature's colorful creations at The Royal Botanic Garden, admire nature's wide array of creatures at Sea Life Sydney Aquarium, kick back and relax at Bondi Beach, and make a trip to Mrs Macquarie's Chair. To see ratings, other places to visit, maps, and more tourist information, read our Sydney trip planner . Traveling by flight from Melbourne to Sydney takes 3.5 hours. Alternatively, you can do a combination of shuttle and flight; or drive. Expect somewhat warmer evenings in Sydney when traveling from Melbourne in January, with lows around 23°C. You will have some time to spend on the 7th (Mon) before leaving for home.